I-26 to exit 67, Columbus/Tryon. Go west on Hwy 108 toward Tryon, about 4 miles. 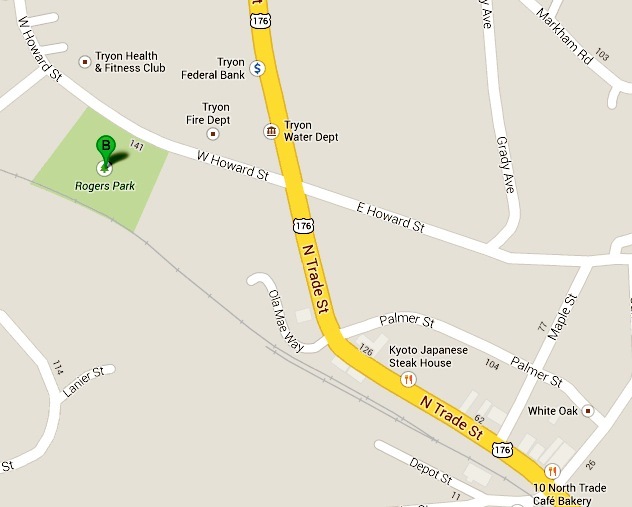 Turn right on Howard St., just past Tryon Town Hall (second traffic light). Hwy 74 to exit 161, Columbus/Tryon. Go west on Hwy 108 toward Tryon, about 5 miles. Turn right on Howard St.